Prescription drugs are ubiquitous in the United States. The Centers for Disease Control and Prevention, or CDC, reports that 48.9% of people said they used at least one prescription drug in the past 30 days. Nearly 1 in four people, or 23.1%, used 3 or more, and 11.9%, or nearly 1 in 8 people, used at least five prescription drugs in the past 30 days. These drugs are addressing some of the most common health complaints and conditions in the U.S. Nearly 1 in 10 patients used a prescription analgesic (painkiller) recently. Many of the other most commonly used prescription drugs were used for chronic disease management. Antihyperlipidemic agents for high cholesterol. Beta-blockers and ACE inhibitors for heart disease and high blood pressure. Diuretics for heart disease, kidney disease, and high blood pressure. Prescription medications can save lives and improve quality of life when used properly, but they are not always as effective as they could be. That is not because of poor medical care or problems with the drugs themselves. Rather, there is a major problem with medication non-adherence. Improving medication adherence could save lives, improve health, and lower healthcare costs. To reduce medication non-adherence, it is important to understand why it happens and how harmful it is. 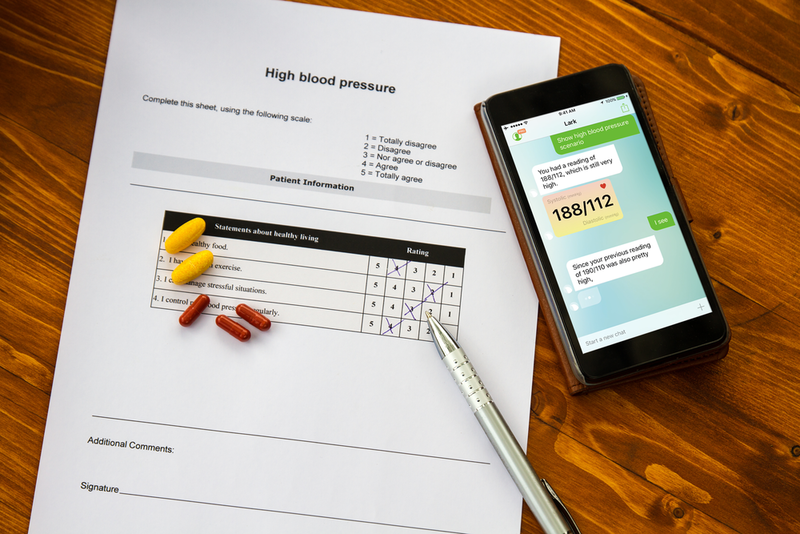 Solutions can include educating patients, reducing prescription drug costs, and using technology such as smartphone apps designed to improve adherence. The definition of “medication adherence” can vary depending on the context, but the term refers to patients taking their prescription medications as prescribed. In research studies, researchers may measure medication adherence by seeing what percentage of the pills that patient has used over the study period. Proper dosage and timing are also part of medication adherence. So what is medication non-adherence? These are some of the ways a patient can be non-adherent with prescription medications. Taking the prescription drug more or fewer times per day. Not filling prescriptions on time or ever. Taking the prescription on an empty stomach when it should be taken with food, or vice versa. Taking the prescription at the same time as another medication or supplement that could interact. Prescriptions are given by doctors to help patients get better, feel better, or prevent complications from their conditions, and medication non-adherence can lower the effectiveness of prescription medications. Why, then, do patients not always adhere? There are many possible reasons for non-adherence. The patient does not understand the instructions for taking the medication, or it is too complicated to continue the regimen, especially when the patient has multiple prescriptions. The medication is unaffordable due to high cost or limited drug coverage, or the patient prefers not to spend money on it. The medication is inconvenient to purchase or use. The medication has side effects or the risk of side effects, such as headaches, fatigue, muscle aches, gastrointestinal distress, and more. People who experience side effects are 3.5 times less likely to be adherent to their medication instructions. The patient does not consider herself a “pill person,” or taking pills makes the patient remember that she has a health condition. Patients can dislike the thought of medications as being “unnatural” chemicals. The medication is for a disease that does not cause early symptoms, such as hypertension. The patient was not home, ran out, or was too busy to take the medication. Older adults are prescribed more medications than younger adults, and have a higher rate of chronic diseases such as high blood pressure, diabetes, and high cholesterol. Medication adherence is just as important in this population, and older adults who have high self-efficacy and have a high perception of health status. Logistical trouble obtaining prescriptions or refills. Despite the importance of medication adherence, it is shockingly low in the U.S., with nearly 3 out 4 patients being non-adherent. Furthermore, adherence is lower among individuals with chronic diseases compared to acute conditions. Consider these additional statistics, compiled in a survey conducted by the National Community Pharmacists Association (NCPA) and Pharmacists for the Protection of Patient Care (P3C). 49%, or nearly one out of two, patients forgot to take at least one of their prescription medications. 31%, or nearly one out of three, patients neglected to fill at least one of their prescribed medications. 24%, or nearly one out of four, patients took a dose lower than what they were supposed to take. 11%, or nearly one in nine, patients took an over-the-counter medication instead of their prescription medication. The economic and health costs of medication non-adherence are high. An estimate from the Pharmaceutical Research and Manufacturers of America, or PhRMA, puts the annual cost of hospitalizations due to non-adherence at $100 to $300 billion. Each hospital visit costs, on average, an extra $3,575 for a non-adherent patient compared to a hospital visit for a patient who had been compliant. These are some other statistics demonstrating the importance of medication adherence. Non-adherent hypertensive patients had 17% higher hospitalization and 5.4 times the risk of poor clinical outcomes (e.g., hospitalization and premature death) than adherent patients. Non-adherent hypertensive patients were 7, 13, and 42% more likely to get coronary disease, cerebrovascular disease, and heart failure, respectively, over 3 years than adherent patients. In one study among individuals with diabetes, those who were non-adherent were 2.5 times more likely to be admitted to the hospital than patients who were at least 80% adherent. The risk of hospitalization or death is 2.8 times higher among individuals with dyslipidemia (such as high cholesterol) who are non-adherent compared to those who take their prescription medications as prescribed. The relative risk of heart disease mortality with a systolic blood pressure of 140-149 mm Hg (Stage 1 hypertension) was 4.2 compared to a systolic blood pressure of 110. The relative risk was 20 for a systolic blood pressure over 180 compared to under 110. Each increment decrease of 10 mm Hg of systolic blood pressure was associated with a decreased risk, even when patients did not achieve complete control. Patterns were similar for stroke risk. While there are many common themes in medication adherence, there are some special considerations for different patient groups. The goal of medication regimens in diabetes is to improve blood sugar control to prevent complications. Type 2 diabetes accounts for 9 out of 10 cases, and is the result of insulin resistance. Without proper management with lifestyle behaviors such as diet and exercise, the WHO asserts that most patients eventually need medications. Diet, exercise, monitoring, and medications are the cornerstones of management. These are some facts related to diabetes self-management. Only 1 in 4 patients follow a physical activity plan and only 1 or 2 in 3 are adherent to a diet plan. As few as 1 in 3 patients regularly monitor blood glucose at home. Adherence ranges from 15 to 80%, with non-adherence including taking extra doses and skipping doses. A greater self-efficacy, better stress management, and better support are all linked to improved adherence. Schizophrenia is a condition in which the patient has an altered perception of the world that can include untrue beliefs or hearing voices that are not there. Treatment usually includes psychotherapy and medications such as antidepressants, antipsychotics, and anti-anxiety drugs. As in other long-term conditions, such as diabetes and hypertension, patients are less adherent as their diagnosis is further in the past, and only about 1 in 4 continue to take medications properly. There are no immediate consequences for skipping doses, so patients may not understand the significance. Patients often skip up to half of doses due to forgetfulness. Side effects can cause patients to stop taking their medications. Family and social support can improve adherence. Medication adherence in patients with HIV/AIDS is particularly challenging. Adherence of at least 95% is required for best results, but the WHO reports that only 1 out of 3 patients take their medications properly, even when they understand the importance of highly active anti-retroviral therapy, or HAART, in preventing progression of HIV/AIDS. Even slight non-adherence can allow viral cell loads to increase, and infectiousness can also increase with non-adherence. The drug regimen is complex, with multiple doses per day and possible food restrictions. Side effects can be unpleasant and include nausea, diarrhea, and neuropathy. Substance abuse is a predictor of non-adherence. Social support and patient-provider trust can help in adherence. Estimates vary from 20 to 80%, but what is clear is that many hypertensive patients are non-compliant. Consequences include a higher risk of stroke, coronary heart failure, dementia, reduced renal function, and blindness. Hypertension is largely asymptomatic, so motivation to adhere can be lower because medications do not make patients feel better. The biggest cause of uncontrolled hypertension is non-adherence. Low understanding of hypertension and its risks may contribute to non-adherence. Hypertension drugs can be complicated to take. Chronic obstructive pulmonary disease, or COPD, is a progressive chronic disease that makes breathing difficult and is the fourth most common cause of death in the U.S. Medication adherence issues in patients treated for COPD include periods of symptom remission and the long-term nature of the disease. In addition, side effects can be severe. Only about half of COPD patients are adherent to their prescribed regimen. Improving medication adherence could potentially save lives, reduce healthcare costs, and improve healthcare outcomes. There are several strategies for improving medication adherence, and patients, healthcare providers, and manufacturers can all be involved. Forgetting to take medications can be a barrier to adherence for patients who intend to take their medication as prescribed. These are some CDC medication adherence strategies that could be effective at improving medication adherence among patients who fill their prescriptions, but do not always remember to take the proper dose at the right time. Pillboxes allow patients to set out their pills for the day or week ahead so they can see which ones they have taken and still need to take. Blister packs make it easier for patients to see whether they have already taken their medication. Electronic pill monitors can not only remind patients when to take their medication, but can also notify healthcare providers if the patient misses a dose. Cost is a significant barrier to medication adherence. Reducing or eliminating co-pays for prescription drugs, especially common ones with big payoffs such as statins, could potentially increase patient adherence. The move could pay for itself because of cost savings from fewer hospitalizations and adverse events. Offering generics is another way to limit costs. Another way to increase access to medications is to implement delivery methods that are easier for patients. Free delivery of medications from the healthcare provider or pharmacy is one example. Pharmacists can also automatically prepare refills and notify patients via phone calls or text messages that they can pick up their prescriptions at any time. This eliminates barriers such as remembering to call in the refill order, and waiting for a long time at the pharmacy for the order to be filled. Patients who can see the effects of their medications, such as when they have less pain as the result of taking prescription analgesics, may be more adherent than patients who do not feel immediate benefits. This can happen when managing chronic conditions, such as high blood pressure or cholesterol. Frequent self-monitoring is one way to try to improve motivation. In conditions such as diabetes or hypertension, patients who regularly measure their blood sugar or blood pressure may not feel any symptoms of their condition. However, they may notice that their numbers are lower when they follow their drug regimen properly, and therefore be more motivated to be adherent. Identifying patients who at risk for non-adherence for reasons such as polypharmacy or lack of reaching treatment goals. Assessing each medication for necessity and safety. Working with the patient to identify and address each barrier to adherence. There are more ways to support patients. Explanations from pharmacists and clear labels can make it easier for patients to understand how to take their medications properly once they get them. Prescribing fixed-dose medications, or two-in-one pills, when possible reduces the number of pills the patient needs to take. It can actually reduce patient non-compliance by almost one-quarter. Medication adherence interventions can address many of the barriers to non-adherence. They can include care coordination between doctors and pharmacists to target and assist patients who have trouble following their regimens. They can assist patients in obtaining the lowest-possible cost medications. And all of this can be coordinated by Lark. There are some limitations to traditional medication adherence programs. They can be costly due to the live human interaction and cost of paying pharmacists and doctors or nurses for extra time. Not all members of the patient support team can be available 24/7. What happens if the patient needs a nudge on the weekend or evenings? The patient may feel some embarrassment at asking for help or admitting that a dose has been missed. Automatically sending pre-sorted pills to patients every week or two. Automatically detecting a patient’s pill ingestion via an ingestible sensor. Learning patients’ habits through digital interactions. Using wearables that easily allow for patients to record when they take their medications. ·Reminders to take medications and order refills. Notifications for caregivers or providers if users do not login to the app. Lark health coach can assist with adherence to the medication regimen in a number of ways. Reminding patients to take their medications: when and how much. Connecting patients to healthcare providers when needed. Educating patients on the importance of medication adherence. Tracking patient adherence so patients can see how well they have been following doctor’s orders. In addition, Lark provides coaching to encourage healthy behaviors, including weight management, nutritious eating, getting active, and getting enough sleep. These behaviors can all support general well-being as well as increase patient self-efficacy in taking charge of health and staying adherent to medications to stay as healthy as possible. Weight Loss Guide - Why to Lose Weight, and How!